OverviewA horizontal arcade shooter released by Capcom. 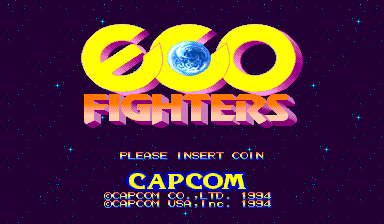 It was re-released for platform play on the Capcom Classic Collection Vol. 2. Now you can add videos, screenshots, or other images (cover scans, disc scans, etc.) for Eco Fighters (USA 940215) to Emuparadise. Do it now!